The majority of cardiac rehabilitation (CR) referrals consist of patients who have survived an acute coronary syndrome (ACS). Although major changes have been implemented in ACS treatment since the 1980s, which highly influenced mortality and morbidity, CR programs have barely changed and only few data are available on the optimal CR format in these patients. We postulated that standard CR programs followed by relatively brief maintenance programs and booster sessions, including behavioural techniques and focusing on incorporating lifestyle changes into daily life, can improve long-term adherence to lifestyle modifications. These strategies might result in improved (cardiac) mortality and morbidity in a cost-effective fashion. In the OPTImal CArdiac REhabilitation (OPTICARE) trial we will assess the effects of two advanced and extended CR programs that are designed to stimulate permanent adaption of a heart-healthy lifestyle, compared with current standard CR, in ACS patients. We will study the effects in terms of cardiac risk profile, levels of daily physical activity, quality of life and health care consumption. Healthy lifestyle management is becoming increasingly important in the Western world, as the incidence of obesity, hypertension, and diabetes is taking on epidemic proportions [1, 2, 3]. According to the World Health Organisation, 75 % of cardiovascular diseases could be prevented by optimal lifestyle management . Indeed, the INTERHEART investigators have demonstrated that 90 % of (first) myocardial infarctions (MIs) could be attributed to nine modifiable risks, including hypertension, diabetes, and hypercholesterolaemia . Furthermore, smoking cessation, physical activity, moderate alcohol consumption and combined dietary changes are associated with mortality risk reductions of 20–45 % in patients with coronary artery disease (CAD) . Several cardiac rehabilitation (CR) programs have been developed since the 1980s for CAD patients, which offer a variety of interventions that aim to stimulate an active and healthy lifestyle. In meta-analyses it has been demonstrated that these programs effectively reduce the 1-year incidence of total mortality, cardiovascular mortality and nonfatal MI [7, 8]. However, these initial beneficial results were not maintained during longer-term follow-up . The lifestyle changes adopted during the rehabilitation period were probably not incorporated into daily routine. Throughout the past decades, patients who are referred for CR constitute a heterogeneous and dynamically changing population. Nowadays, the majority of CR referrals consist of patients who have survived an acute coronary syndrome (ACS). Major changes have been implemented in ACS treatment since the 1980s, which have highly influenced mortality and morbidity. Currently, most ACS patients undergo percutaneous coronary intervention (PCI) in the acute phase, and receive antiplatelet therapy, lipid-lowering therapy and other cardioprotective medication during long-term follow-up. As a result, ACS patients usually have preserved left ventricular function and, consequently, a good survival [10, 11]. Also, the duration of the hospital stay after ACS is considerably reduced; the current average is approximately only 5 days . Interestingly, CR programs have barely changed since the 1980s, and only few data are available on the optimal CR format in ACS subjects [13, 14, 15]. The favourable developments in ACS treatment have, however, an important downside: ACS patients have less time for reflection on the event they experienced. The contact time with healthcare professionals during the acute phase is limited, whereas in this period patients might be most open to accept (lifestyle) advice to avoid future cardiac events. In order to adapt and maintain a heart-healthy lifestyle, ACS patients therefore probably need more guidance in the subacute phase than is currently offered in CR programs. Recently, some successful maintenance programs have been presented [16, 17, 18] However, these programs consist of high frequency contacts during long-term follow-up, and may therefore not be cost-effective. We postulated that CR programs followed by relatively brief maintenance programs and booster sessions, including behavioural techniques and focusing on incorporating lifestyle changes into daily life, can also improve long-term adherence to lifestyle modifications [16, 19, 20]. These strategies might result in improved (cardiac) mortality and morbidity in a cost-effective fashion. In the OPTImal CArdiac REhabilitation (OPTICARE) trial we will assess the effects of two advanced and extended CR programs that are designed to stimulate permanent adaption of a heart-healthy lifestyle, compared with current standard CR, in ACS patients. We will study the effects in terms of cardiac risk profile, levels of daily physical activity, quality of life and health care consumption. The primary objective of OPTICARE is to evaluate the effectiveness of an extended CR program in patients who have experienced an ACS. The program combines physical activities, psychosocial counselling and personal coaching. Effectiveness will be expressed in terms of levels of daily physical activity and (reduction in) estimated cardiovascular risk, which will be measured by the Systematic Coronary Risk Evaluation (SCORE) function . To investigate whether extended CR is more cost-effective than standard care. The OPTICARE trial is a multicentre, open, multidisciplinary randomised controlled trial with a 6-month follow-up. The PRospective Open, Blinded Endpoint (PROBE) design will be applied, and an independent Clinical Event Committee will verify all cardiac events . The protocol and procedures of OPTICARE were approved by the Medical Ethics Committee of Erasmus MC Rotterdam, the Netherlands. Each patient will receive oral and written information on the trial objectives, study design, and advantages and disadvantages of study participation. A signed informed consent form by the patient is a prerequisite for participation in the trial. OPTICARE is designed for patients with a documented ACS who are referred for CR . 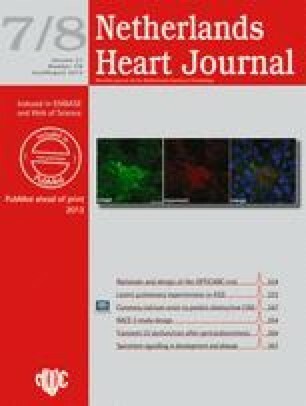 ACS is defined as persistent (>20 min) chest pain suggestive of myocardial ischaemia, which is unresponsive to nitroglycerin and which is accompanied by ST-T changes (electrocardiographic evidence) and/or cardiac troponin elevations (biochemical evidence), regardless of in-hospital treatment. A total of 10 hospitals in the broader region of Rotterdam—The Hague refer their ACS patients to the local Capri Centre, which offers a standard CR program that is consistent with the Dutch guidelines [23, 24]. Eligible patients who consent to participate in the trial will be randomly allocated to one of three treatment strategies (Table 1), following inclusion and exclusion criteria as mentioned in Table 2. Randomisation will be performed by using sequentially numbered, opaque, sealed envelopes with information on allocated treatment. The envelopes will be prepared by an independent statistician, who uses a random number generator to construct the treatment sequence. The allocation process will be monitored to preserve randomness and concealment. Standard care (or: OPTICARE-Basic) consists of standard CR according to the Dutch guidelines as is currently offered to all patients referred to Capri Cardiac Rehabilitation. OPTICARE-Basic is a group exercise program of 1.5 h that is offered 2 times a week for 12 weeks under the supervision of a physiotherapist. Participation in multifactor lifestyle and cardiovascular risk factor group education sessions is offered to all patients, and comprises: information on cardiovascular diseases risk factors, medical information, dietary advice, and advice on coping with emotions. If indicated, there is an option to participate in a smoking cessation program, nutritional counselling sessions, stress management sessions or an individually based psychological program. At the start of the program, each patient will undergo an intensive interview to determine his/her individual program. Only the physical training program is strictly obligatory; the counselling and group sessions will be attended upon motivation of each patient. The 2nd strategy is based on the COACH study that demonstrated favourable effects of personal coaching . In the OPTICARE-COACH arm of the trial, standard CR is extended with five telephone coaching sessions with an interval of 5–6 weeks during the first 6 months after completion of standard CR. The coaching sessions intend to keep the patient aware of his or her cardiovascular risk factors, and on methods learned to improve cardiovascular health. The personal coaching is offered by specialised nurses, who are trained to stimulate patients to pursue the target levels for their particular coronary risk factors. This COACH-based strategy consists of coaching the patient in a process of continuous improvement in coronary risk factors. Patients are stimulated to develop a personal plan of action in which they measure their coronary risk factors (e.g. at their general practitioner’s office), define their targets, act upon, measure again, etc. Patients are also persuaded to adopt and adhere to appropriate lifestyle measures, including a healthy diet, persistent smoking cessation, and daily physical activities at moderate intensity. The 3rd strategy, OPTICARE-CAPRI, is another extension of standard CR. Patients who are allocated to this strategy have a commitment to participate in the multifactorial lifestyle and cardiovascular risk factor management group sessions (rather than participation on a voluntary basis). Besides, during OPTICARE-CAPRI CR patients will participate in three group counselling sessions under the supervision of a physiotherapist to promote an active lifestyle (aiming at regular exercise of moderate intensity for 30 min at least 5 times a week). The intrinsic motivation of the patient to change behaviour will be encouraged by the motivational interviewing technique which has shown to be effective in improving activity levels in daily life [25, 26]. To provide feedback on the patient’s home activity, pedometers (Yamax Digiwalker SW-200) will be provided . Finally, at 4, 6 and 12 months after the start of the program the patients will again be required to participate in multifactor lifestyle and cardiovascular risk factor group sessions of 2 h each in which maintenance of healthy lifestyle behaviour (including physical activity) is discussed to increase long-term adherence. These group sessions are led by physiotherapists, social workers, dietician, nurses and physicians and are based on self-regulation. Finally, in patients randomised to OPTICARE-CAPRI CR the cholesterol and blood pressure levels will be monitored and medication will be adjusted when needed. The target level will be: LDL ≤1.8 mmol/l and systolic blood pressure (SBP) <140 mmHg. Smoking status determined during an interview by one of the social workers of the Capri cardiac rehabilitation centre. The concentration of carbon monoxide in breath will be measured using a breath analyser (Smokerlyzer®). The level of everyday physical activity is objectively measured with a validated accelerometry-based activity monitor (Actigraph GT3X, Fort Walton Beach, Florida), for 7 consecutive days in the home situation. The Actigraph is a small device worn on a belt around the waist that measures and records movement, movement intensity and duration. The Actigraph is the most widely used (commercially available) accelerometer and different studies report acceptable to good validity . Information on return-to-work, quality of life, anxiety and depression, health care consumption, illness perception, medication adherence, perceived physical activity, fatigue, self-efficacy, type D personality, social participation and movement fear. We will use validated questionnaires to obtain these data (Table 3). The primary study endpoint is the SCORE Risk Score that is measured 1.5 years post randomisation. The RESPONSE trial  studied the effectiveness of a nurse-coordinated outpatient risk management program in cardiac patients. That strategy was associated with a 17 % reduction in SCORE Risk Score as compared with standard care . Based on these data, and taking into account the more intensive interventions that we will perform, we expect in both the OPTICARE-CAPRI and in the OPTICARE-COACH arm at least a 20 % reduction in the SCORE Risk Score at 1.5 years: from 5.40 to 4.32 points with an estimated standard deviation (SD) of 4.5. With 274 patients in each treatment arm, the study has 80 % power (beta-error = 0.02) to detect this difference with an alpha-error of 0.05 (2-sided test). We will enrol a total 300 patients in each treatment arm, taking into account a 10 % drop-out rate. Secondary endpoints include all-cause mortality, cardiovascular mortality, non-fatal myocardial infarction, re-hospitalisation for heart failure, re-hospitalisation for angina, admission to the emergency room, non-fatal stroke, and coronary intervention. All clinical endpoints will be monitored and verified by an independent Clinical Event Committee. A cost-effectiveness analysis will be performed in accordance with the current Dutch guidelines (Guidelines for Pharmacoeconomic Evaluations) . Costs will therefore be calculated from both the health care sector and the societal perspective (where all costs are included in the analysis regardless of who incurs them). Costs will include direct medical costs, patient costs, and productivity losses. Unit prices for the most important cost items will be determined using the micro-costing method, which is based on a detailed inventory and measurement of all resources used. The primary health outcome will be quality-adjusted life-years. Short-term costs and effectiveness will be based on observed outcomes measured in this trial. Lifetime costs and health outcomes will be calculated with a Markov model using data from this trial in combination with literature data. Future costs and life-years will be discounted at 4 % and 1.5 % respectively. Extensive (probabilistic) sensitivity analyses and value of information analysis will be performed. Cost-effectiveness will be assessed by calculating the incremental cost-effectiveness ratio, which is the difference between the mean costs of two treatment strategies divided by the difference in their mean effects (e.g. life-years) [31, 32]. Over the past years it has been demonstrated that standard CR reduces morbidity and mortality in patients with CAD [7, 8, 14, 15]. An extended CR program consisting of supervised 30 min aerobic exercise, comprehensive lifestyle and risk factor counselling sessions may even further benefit patients in the long term, as shown in the GOSPEL trial . However, it should be realised that in this trial multiple (11 sessions in 3 years) and thus costly interventions were done. In the COACH trial a limited number of telephone interventions also had beneficial effects . However, in that trial only approximately half of the patients underwent CR and the beneficial effect of the COACH intervention in the CR subgroup is unknown. This is an important limitation of the COACH trial since standard CR is recommended in the Dutch guidelines . In the OPTICARE study we will investigate in a separate study arm whether the COACH approach still has beneficial effects in patients who suffered from an ACS and who subsequently underwent standard CR. In addition, the effects of a more time-consuming OPTICARE arm, including a limited number of extra sessions to promote a healthy lifestyle with a focus on physical activity, will be studied. Secondary prevention after an ACS has several components. Preventive medication should be started and titrated to optimal doses by the physician according to current guidelines . In addition, modifiable risk factors (diabetes, hypertension, cholesterol, smoking, overweight, sedentary lifestyle) should be inventoried and appropriate action should be taken in a combined effort of the patient and physician. In most studies the pharmacological components of the program showed benefits [11, 16, 20], but strategies to promote smoking cessation and in particular physical activity and weight loss are needed. Therefore, in this study, we will focus on reaching long-term lifestyle changes, with a special focus on increasing the level of physical activity. Lifestyle inactivity is an important cardiovascular risk factor and related to several cardiac risk factors such as lipid profile, blood pressure and body composition . Despite the well-known beneficial effects of CR on physical fitness, mortality and quality of life [31, 33], only little is known about the effects of CR programs on the level of daily physical activity after CR. In some studies positive effects on daily physical activity after CR have been shown [9, 34], but it has also been reported that physical activity tends to decline 6 to 12 months after completion of standard CR [9, 35]. Furthermore, results from a study in patients with chronic heart failure suggest that improved physical fitness does not automatically result in a more active lifestyle . The OPTICARE-CAPRI arm aims to incorporate daily physical activity in one’s life and thus promotes long-term adherence by maintenance programs and booster sessions at 4, 6 and 12 months post randomisation. In this era of financial constraints it is essential to not only show beneficial effects of an intervention but also the cost-effectiveness of the intervention. This may be particularly true for comparing the less intensive COACH arm, involving just some telephone contacts, with the more extensive CAPRI arm. Therefore, a full ex-post economic evaluation of both extended CR programs and standard CR will be performed .